We believe in a classroom without walls. Today’s technology means that your education does not and should not start and end at a doorway. One thing for certain we have learned from over 20,000 hours in the classroom is that people sometimes learn best at their own pace on their own time. Therefore we have developed a number of products and services to help you learn in the manner which works best for you when it works best for you. 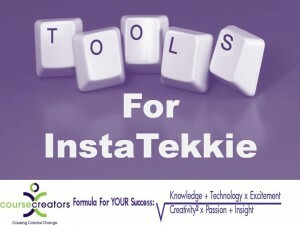 This series of tools was created to assist students who are interested in the InstaTekkie (IT) Certification. 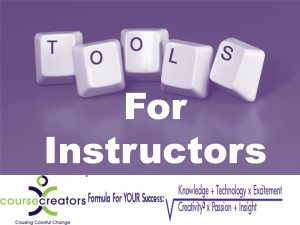 You will find videos, links to various websites and materials, additional explanations and items that will be useful to you as you work on your technological advancement. There are planning forms for you to create an integrated marketing plan and links to the Tekk Tip Webinars that we thought would help you Get IT! Use IT! and Become More Successful Because of IT! Today social media is King. 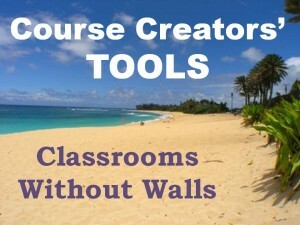 There are bigger believers in its power to increase your business than those of us here at Course Creators. You will find statistics, graphs, links to YouTube videos and other information. We have created a guide so that you could plan your social media strategy and time. Purpose is everthing. We have included links to some of our How To products and given references to others. Use this information to jump start your business with social media. The age of internet disclosure is upon us. No other aspect of real estate poses as much of a risk to you as disclosure. So it is important that we great it right. Here you will find disclosure links that you can use. Feel free to cut and paste away with those links. We’ve even given you some articles and blog posts that you can post on your blog, website or social media sites. Talk about thinking outside the box. 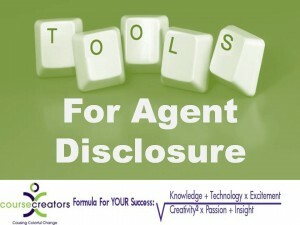 We will show you how to use disclosure information as a marketing tool. Get your practice organized and in shape using the advice, information and tools that you find here. You’ll find references to great time management resources, both in print and on the net. You’ll get business planning sheets and many of the items we use and share with our students and clients in presentations and courses. There are tools and links to increase productivity and better manage your time. In today’s information age we cannot afford to be disorganized and inefficient. Learn how to manage it all better starting here. No one ever got very far in business without a well thought out business plan. Know what it takes to create a vision and goals for your business. You can use our sample business planning form to get started and then utilize the other tools to expand and grow your business. You’ll ge links to some of our business planning tools and concepts and information regarding the concept of visionation. Well also tip you off as to the best book that winning business leaders are reading. Everyday it all comes back to the basics. Our Tekk Tip webinars were designed to help you master a wide variety of skills and techniques that are needed to master today’s technology. From learning how to cut and paste, use URL links, use videos and make the mostt of some great internet tools out there these Tekk Tips will help you feel more confident about what you are doing. Easy to understand, stripped of technical jargon. This is plain and simple how to education. We believe in the power of inspiration and we use a lot of inspiration items in our courses and presentations. Whether you are an individual or whether you are managing employees or a team, part of our job today is one of inspiration. So as we run across items that we think you can use and that we want to share, this is where they end up. You’ll find links to videos, quotes, inspirational reading and lots of things to keep your head up as you move forward. Know the best sales tools and information that exists. We will give you links to powerful sales sites, give you sales tips, even share with you some specific information on certain sales scripts and how to find new sources of business. The world of technology is changing our marketing and sales plans and we need new comprehensive plans to address it. Find out what leading people in business now know about how marketing and sales techniques have changed. These tools will help you recapture lost markets. Videos are the new mantra. Your clients are using and watching videos on the internet, their phones and their laptops as record rates. 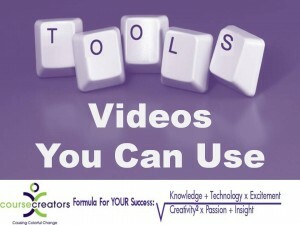 As a business you cannot afford to be without a video presence. We’ll share with you some of the tips and tricks of using video. Find out how YouTube really works. Thee are links to YouTube videos you can really use. We will share with you our video storyboard and some of the tried and tested lessons we have learned from using videos in our business. We find more everyday. Seems there is a link to just about everything. Trying to remember and find them again is the challenge. So when we run across a good site or link it goes here. We often share these links in class. They will help you uncover just about anything you need to know. I guess it’s kind of like our own refined distilled version of Google and the rest of the search engines. When we find something useful we try our best to pass it on. There is a wealth of information here you will use. As trainers providing Instructor Development Workshops and heavily involved in professional teaching organizations we are always sharing and exchanging information with others to make them better presenters and to improve ourselves, from classroom tools, to powerpoint tips to teaching the art of storytelling we are committed to sharing our best and brightest ideas with fellow instructors and presenters.